"Skillfully intertwining regional history, national history, and personal experience, Ferriss… tells this bittersweet but often laugh-out-loud funny tale…. Unveiling the Prophet touches lightly but evocatively and perceptively on subjects from the past, present, and future of St. Louis to the ferment of racial, sexual, and cultural politics in the seventies to the way one eloquent woman looks back with affection and a bit of regret at her younger self, her family, and the social world that shaped her youth." 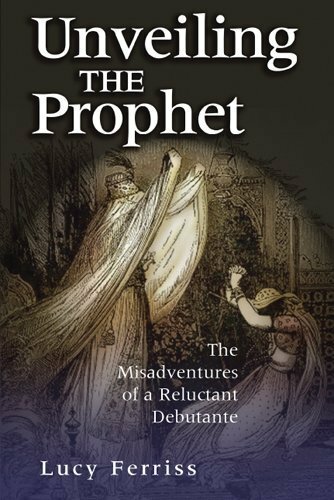 My 2005 memoir, Unveiling the Prophet: The Misadventures of a Reluctant Debutante, began with an incident in St. Louis, my hometown, in 1972, which changed the course of history for that city and marked the end of an era. I waited 30 years for someone to write about that event and the intersections of race, class, and gender expectations that led up to it . . . until I realized that that someone had to be me. "The book’s most wonderful aspect is its sharp humor and dazzling writing. Smart without being stuffy, incisive without being pedantic, Ferriss’s exploration of St. Louis’s Veiled Prophet Ball is a must read….Unveiling the Prophet reaches across decades to reveal an arcane society’s dark secrets, to explore racial and economic injustices—and to tell one hell of a good tale. This is one of the best books of the year, period." What is ten minus 2?